Thank you to all of the Reception/Year 1 parents who were able to attend the reading workshops held in the last weeks of Term 1. The feedback was very positive re understanding children’s reading development. We have scheduled additional workshops for the beginning of Term 2 and urge everyone to attend. Note these are the same workshops. The parent workshops are designed to provide you with information about our Early Years Reading program InitiaLit, and how you can support your child’s reading development at home. The InitiaLit program is a research-based program from MultiLit, which comes out of Macquarie University in Sydney. It is used in many Australian schools and has shown positive results in helping children become successful readers and writers. The InitiaLit program uses a sound-by-sound synthetic phonics approach to teach reading. Children are taught the relationships between letters and sounds in a sequential and systematic way, starting with easier skills and working up to more complex skills, and are shown how to put sounds together (blend) to read words, and how to break words into sounds (segment) to assist with spelling words. What does an InitiaLit lesson look like? Why do we need to do reading at home? What kind of readers will my child bring home? How should I support my child reading at home? What else can I do to support my child at home? 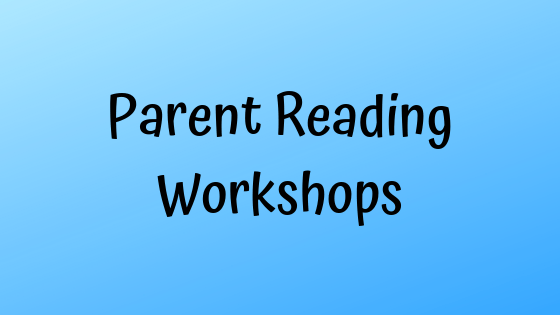 At these workshops, you will also have the opportunity to hear from Reading expert and consultant, Felicity Clark, who will share a range of hands-on reading activities for you to learn to do with your child at home.